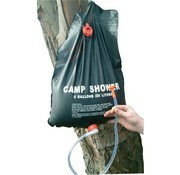 Solar heated black vinyl absorbs heat, warming the 20 litre flexible reservoir. 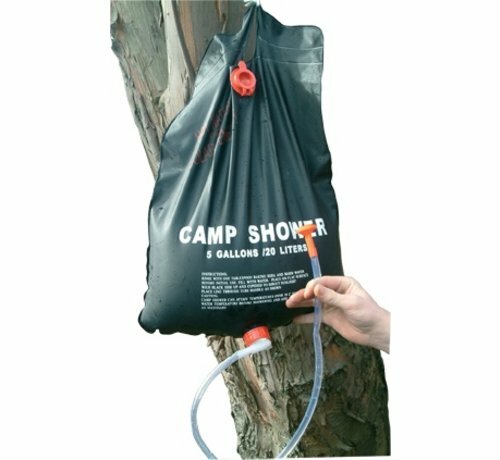 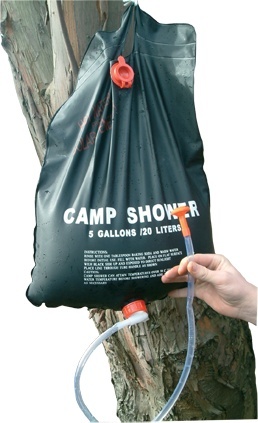 This portable light weight shower is easily packed and stored. 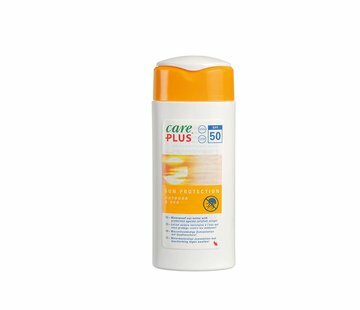 On/off spray setting + 20 litre (5 gallon) Capacity.